Annuity investments, although they are quite common in the United States, most people still find themselves asking the question ‘what is an annuity investment?’ An annuity investment is a contribution that an individual makes towards a life insurance policy by a single premium. The returns of the insurance plan will be enjoyed by the insured person after the ‘maturity’ of the insurance plan. In most cases, an agreed amount of income will be provided over time to the insured person from the time of ‘maturity’ of the plan until the death of the person or persons that are insured or until a final fixed date. Annuity investments are essentially pension plans in the life insurance industry. As annuities explained earlier, an annuity fund is an amount that is paid over time by the insurer to the insured person or persons from the agreed date until the final date or the death of the insured parties. There is also another type of annuity fund that has become very popular among modern investors. Most of the modern annuity investors use the annuity investments as a means to accumulate funds that do not attract any tax in terms of income or capital gains. These customers usually opt for lump sum withdrawals of the funds in the annuity without opting for the traditional payout methods. The lump sums that are received from the annuity funds can also be used by the investors to pay off the cash flow notes. 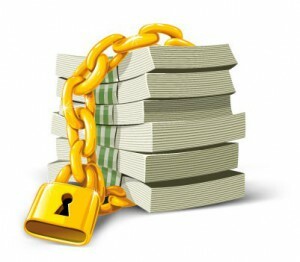 Investors who need money also make use of the annuity loans feature that most of the annuity investment plans offer. These loans are not taxable as long as the loan payments are made on time. Investment linked annuities can be another answer to the question ‘what is an annuity investment?’ In the case of investment linked annuities, the pension fund is ‘invested’ in the stock market. What this means is that the fund value at the time of maturity largely depends on the value of the share prices on which the fund has been invested. The advantage is that in most cases, the individual stands to earn higher profits with the market-linked annuity plans. The downside is that if the value of the shares falls at the time of maturity, then the value of the fund also falls. There are different types of annuities that are available in the market. Although all of these plans are life insurance related and they are pension funds, these plans differ based on the type of savings and returns that are offered. Some of the different types of annuity investments are – value protected annuities, investment-linked annuities, unit-linked annuities, and with-profits annuities. The primary goal of the annuity plans was to help individuals save money to help them through their retirement. However, with the emergence of the modern investor, annuities are being used as vehicles to save money and abstain from paying tax on earnings. Considering the implications of the term ‘annuity’, it would be wise to understand what an annuity investment is, before actually investing in one.